Mention Root Canal Treatment and you automatically wince. This is due to the continuous horror stories and experiences heard. Root Canal has unfortunately gained quite a bad reputation but the reality is it is actually a very pain free procedure to have done thanks to modern dentistry. Root Canal Treatment is needed when the nerves are infected causing inflammation, pain and possibly swelling. This could be due to decay or trauma. Root Canal Treatment can also be carried out as a preventative treatment. Although the treatment itself can take a while to complete, the materials and equipment we use ensures the treatment is comfortable and successful. Pain during treatment usually occurs when the tooth is very infected making the anaesthetic unworkable. In this case antibiotics are usually prescribed prior to treatment to calm the infection. Patients usually experience pain on biting and sensitivity on hot and cold although not always. 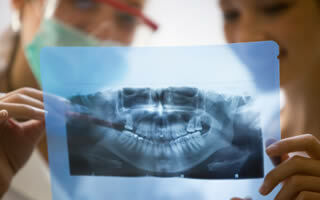 The main way of diagnosing treatment is by taking x-rays. Infection is shown around the tip of the roots or by decay going through to the nerve. Depending on the level of pain or if any swelling is present antibiotics may be prescribed prior to treatment. The procedure itself is carried out under a local anaesthetic. 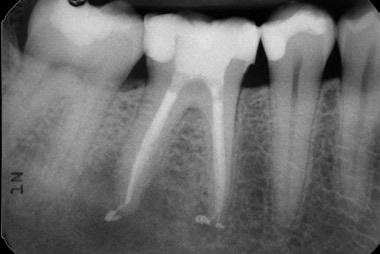 Once you are numb and ready to commence we access the canals by drilling into the tooth. The infection is removed and the canals cleaned and shaped using special files. Whilst we are doing this the canals are continuously irrigated using a special solution to help remove any bacteria. Once the tooth has been cleaned and is free from infection a special root filling is placed into the canals. The tooth is then restored with a permanent filling. A crown is usually advised to protect the tooth as having Root Canal Treatment can weaken the tooth. Generally a tooth that has had Root Canal Treatment doesn’t need any aftercare. Sometimes you may experience an ache to the jaw or around the tooth that has been treated. Anti-inflammatory tablets are usually advised for this. In the event that the tooth was badly infected and was causing you quite a few problems you may be asked to return to the practice for a review appointment to see how the tooth has responded to treatment. Although now technically the tooth is dead as the nerve has been removed, you still have to keep the tooth clean as you would normally. Decay can still occur and gum disease around the tooth is still possible.